There’s a limit to how brainwashing a person can take. Even for a PETA employee. PETA starts its cultish indoctrination process from the start. 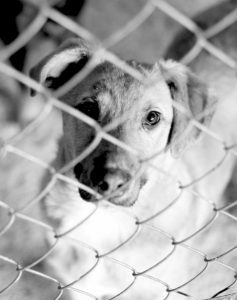 The article’s author goes into great detail to describe how “all employees are carefully groomed through issues training.” This training includes claims that euthanasia is what’s best for the animals and that PETA has a savior complex, believing that they are fixing the mess that humans created. If you go against them they will find you. On multiple levels PETA likes being in control of its employees. The author describes receiving long emails from a boss for helping an ailing aunt find a shelter for her pets. It also has a network of employees who will monitor your activity—even outside the workplace. PETA still likes to kill fast. A moment is described in which the author told her mom of a dog she recently rescued. When the mom quickly told her daughter she would be interested in adopting the animal—a pit bull—the author found it was too late. Only a few days had passed, but PETA had already killed the animal, which seemed to show no indicators of poor health. PETA doesn’t seem to care about what it does to its employees’ health. In an emotional few paragraphs, the author describes working 50-60 hour work weeks to prove her dedication to PETA. She mention how working at PETA desensitized her and warped her view of animal death. When she aired her stress with her coworkers, they looked at her like she was crazy. The stress was so intense that she had a panic attack in HR and felt she had to leave. According to the author, an employee described to her that, “staff believes that their ability to euthanize animals makes them ‘badass’ — to not want an animal euthanized is considered ‘weak.’” When employees would ask about the conditions of animals given to PETA, they would be directed to ask the head of the department. This often didn’t happen because employees at PETA live in fear of their bosses. Although dismal and disheartening, this article reveals what many of us already know: PETA is not a good organization and is definitely isn’t ethical. Is This PETA’s Most Hypocritical Protest? PETA continues to prove that no one knows how to waste over $50 million like it can. As it has done in years before, PETA is protesting during the 143rd Westminster Kennel Dog Show. This year’s antics include protesting behind “blood”-soaked “dead dogs” while holding signs that say “Breeders Kill Shelter Dogs’ Chances.” The irony and hypocrisy is hard to miss given that PETA kills shelter dogs (and cats) at its own headquarters. A government inquiry into PETA’s shelter found the organization kills the majority of the animals within 24 hours of intake. This has to be one of the most disturbing Westminster Dog Show protest PETA has done in recent memory–even rivaling the time PETA wore KKK outfits to protest the show, comparing dog breeders to the supremacist organization. It’s egregious that PETA —which currently is trying to ban Bull Terroirs in the UK— acts as though it truly cares about the wellbeing of animals. The Westminster Dog Show, which set up five different charities to help fund rescue activities, veterinary scholarships, and service dogs for veterans and people with illnesses, certainly seems to have done more to help animals in need than PETA has. If PETA truly cared it would put its money where its mouth is and spend money on helping the same shelters they say are struggling to house homeless dogs—and we mean actually help, not just kill them within a day. Enough is enough for a small business called Paws for Effect, a company that adopts and trains animals to perform in various types of media. According to documents obtained by TMZ, Paws for Effect is suing PETA for defamation. This comes after, as part of its smear campaign against the film A Dog’s Way Home, PETA sent an email to an executive at Sony and an “unknowable” number of others alleging Paws for Effect had numerous citations under the Animal Welfare Act. The problem is, according to Paws for Effect, it has never received a single citation under the AWA. The company says PETA lied. We’ll keep an eye on this case. It’s quite sad that PETA, an organization that killed 73% of the cats and dogs in its care last year, would attack Paws for Effect and its owner Debbie Pearl, who in her spare time runs a nonprofit that rescues pups from streets and shelters and turns them into service and emotional support animals. But what is to be expected from an organization that promotes women dressed in lettuce bikinis? In 2018, PETA killed 50 times more animals than it adopted out. Worse? PETA killed the vast majority of animals within 24 hours of intake. 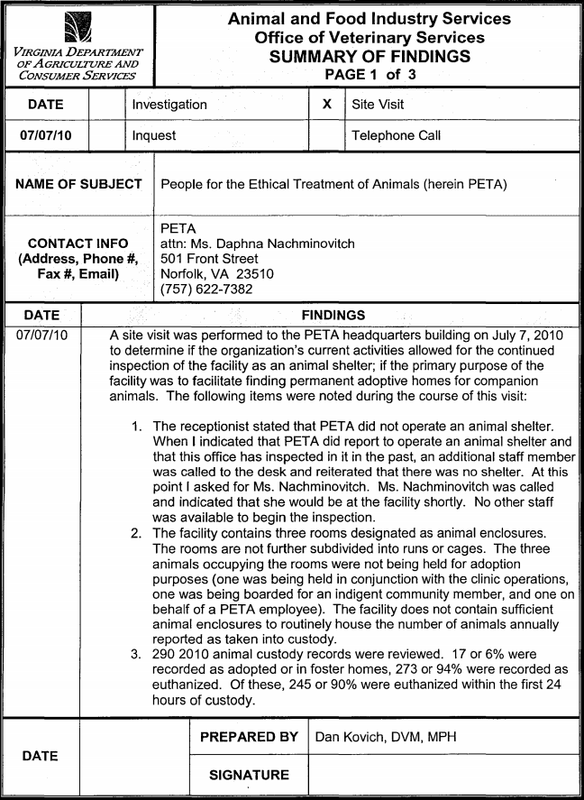 It’s crazy that PETA, an organization with total revenue last year of more than $56 million, continues to care more about lettuce bikinis, frivolous lawsuits over animal selfies, and telling you not to use certain idioms like “bring home the bacon” than actually finding homes for animals in the shelter it runs out of its headquarters. That’s about one animal killed every hour of the business day. Worse? A veterinarian with the state of Virginia inspected PETA and found that PETA killed the vast majority of animals within 24 hours of intake. Even more horrendous? Only 35 cats and dogs were adopted. That means PETA killed 50 times more animals than it adopted out. 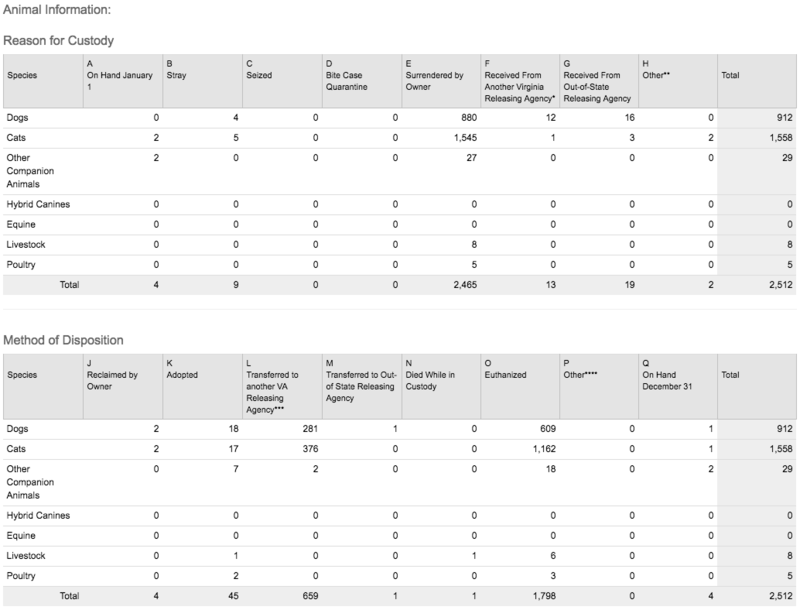 When looking at PETA’s “Year in Numbers Report” the organization mentions how many free vegan kits were sent out but not how many pets were saved. Why doesn’t PETA publicize these numbers? Presumably, because the public would find PETA’s dark side revolting. 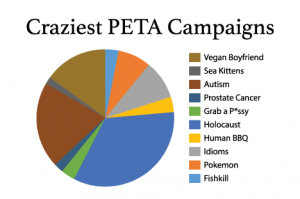 Which of PETA’s Campaigns Was Voted the Craziest? Our PETA’s Craziest Campaign Contest has just concluded and, after receiving thousands of votes, the winner has emerged. There are a lot of crazy PETA campaigns, but only one could take home the title of Craziest PETA Campaign. And the winner is…PETA’s “Holocaust On Your Plate” campaign! The runner-up in our contest was PETA’s campaign claiming milk leads to autism. That claim is not only untrue, it furthers the stigma that countless people with autism face on a daily basis. Third place, meanwhile, is PETA’s “boyfriend went vegan” video that made light of sexual violence. You can see all 10 PETA campaigns here. We promised that people who voted in our contest would be entered into a raffle to receive a free 12-month supply of delicious meat from Butcher Box, a premier meat delivery service. We have randomly selected the lucky winner (who we will keep private so that he or she is not harassed by PETA). Congratulations! We’re sure that person will have many tasty meals over the next 12 months. Thank you to everyone who voted. Keep an eye on this site and our Facebook page for future contests. Our proposal can be viewed here. This follows PETA’s press stunt demanding the English village of Wool change its name to “Vegan Wool.” A street in a French village, Rue de la Saucisse—or “sausage street”—was similarly targeted by PETA, with the organization demanding the street be renamed “Rue de la Soycisse,” referencing soy. Having the tables turned on PETA is satisfying—but there’s something bigger at play here. PETA’s cruelty and unethical treatment of animals is appalling. The organization runs a “shelter” in Norfolk where the staff kills just about every animal that comes through the doors, no matter how healthy or adoptable. Indeed, PETA has consistently opposed pet ownership, called for the killing of all stray cats, and the extermination of pit bulls. Renaming Front Street to PETA Kills Avenue would expose PETA’s horrid practices and help the residents of Norfolk be better informed as to the true nature of PETA. PETA—self-described “press sluts”—has a cheap way to get the media cover its antics. Unsurprisingly, the residents of Wool were not happy about this request. One resident was quoted as saying, “We would be the laughingstock of Dorset if we agreed,” referring to the surrounding county. In fact, the village’s name “Wool” is an ancient word referring to water—it has nothing to do with sheep. This week, PETA doubled down on this bizarre strategy that does nothing for animals and demanded a French village change the name of “Rue de la Saucisse,” or “Sausage Street,” to “Rue de la Soycisse,” referencing soy. The mayor, with good reason, believed the whole thing was a ridiculous joke at first and has already refused PETA’s request. The sole resident of Sausage Street said the street’s name is not actually a reference to meat, but to a colloquial early 20th century French term for a female villager. It seems PETA is ignorant of etymology and lacks the willpower to look into the history of a place. Who’s surprised? Should Hamburg be renamed Blackbeanburg? Should the Swiss town of Gruyères change its name to Almond Cheese? And for Bologna, maybe the Italian city can be renamed Portobello? Sardinia can ditch that sardines legacy and change its name to Soydinia. Perhaps the most obvious move is for PETA to demand the country of Turkey change its name to Tofurkey. This would certainly generate press coverage. But since Turkey’s leader doesn’t take mockery very well, we wouldn’t recommend PETA’s “Lettuce Ladies” march through Istanbul. On Tuesday the Los Angeles City Council voted to advance a proposal to ban the sale and manufacture of fur garments in the city. The legislation follows a decades-long campaign from animal rights extremists such as PETA and the Humane Society of the United States to ban fur around the country. This move sets a terrible precedent for Americans, and we’ve placed a full-page ad making our opposition known. It’s ridiculous to see activists who got their start throwing red paint on people wearing fur coats now getting the time of day (and much more) in a legislative body. Any parent knows the power of “no” and the importance of not giving a tantrum-throwing brat what he wants. Hopefully the LA City Council decides to be grown-ups and let adults make their own choices.